Модуль Graco ACS обеспечивает оптимальный контроль циркуляции краски в случае использования насосов E-Flo. 2 inputs for 4-20mA current loop sensing. Inputs protected from direct application of 24 Vdc. 4 inputs: TDC, Position Sensor, AutoSleep, and Reset. Digital inputs are 24V logic level NPN. 2 channels, adjustable offset and span. 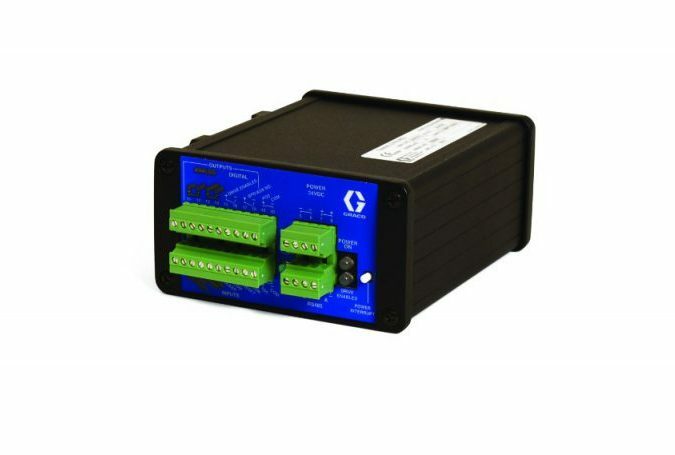 2 open contact, normally open relay outputs, 24V, 1A, used for BPR control and Drive Enable.